Prior, Rwanda was charging $1,500 to tourists to spend one hour with a gorilla family during their Rwanda gorilla trekking safaris. In Uganda, a Uganda gorilla trekking safari permit costs $600, while in the Democratic Republic of Congo, a permit costs $400. A year after the Rwanda government doubled the permit fees to (Rwf1.3 million ($1500), from Rwf650,640 ($750) as it sought to package Rwanda as a high-end tourism destination, Rwanda tour operators say they have lost up to 60 per cent of their customers. Gorilla tracking is a unique experience, but this permit fee was too high for the clients. Rwanda’s justification of doubling the price for both local and international tourists was to position the country as a high-end tourism destination, and to endorse conservation by reducing the number of Rwanda gorilla safari visitors while maintaining revenues, according to the chief tourism officer at the Rwanda Development Board Belise Kaliza. Most people in Rwanda have appreciated the great idea of reducing the permit to $1,070. Tour operators state that ever since the price doubled, they have lost many customers. Their customers prefer crossing over to Uganda and track gorillas. Uganda and Rwanda are home to the same type of gorillas and and Uganda hosts the biggest number of Mountain gorillas in the world in its Bwindi Impenetrable National Park. 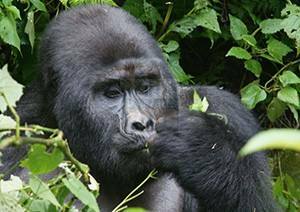 The permit to track Uganda’s mountain gorillas is $600. 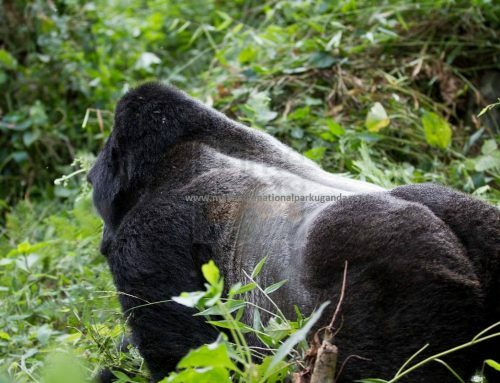 This is why tourists opted to safari Uganda for their Uganda gorilla safaris. The Rwanda Tour operators say that they have been incurring extra costs when their clients cross over to Uganda so they have faced decline in business. There tour and travel operators in Rwanda have welcomed the 30 per cent low season discount permit fees to the gorilla conservation areas. For example, they used to have to pay $20 (Rwf17,346) to the Uganda Revenue Authority, $30 (Rwf26,019) for Comesa insurance and fuel charges, which used to raise their holiday package quotation by 10 to 20 per cent.